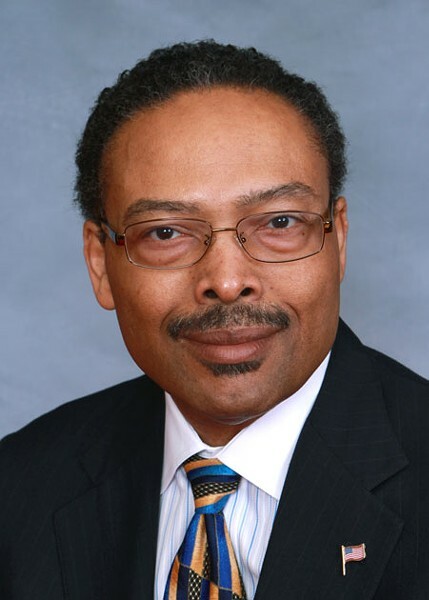 Two years ago, Rep. Kelly Alexander tried but ultimately failed to pass HB 577, a bill that would have legalized medical cannabis in North Carolina. So it's ironic that we met at the funeral home he owns in Charlotte to discuss his most recent attempt at reviving the bill that died in the House Rules committee, where legislation that doesn't stand a chance on the floor often meets its demise. But whether it passes or fails this year doesn't much matter to the Democrat representing Mecklenburg County. Mostly, he wants to continue a conversation he started in 2011, eliminate what he calls the "Cheech and Chong" perception of marijuana users, and work toward developing an industry that could bring upwards of $100 million a year to North Carolina's economy. Because, as he puts it, right now it's only benefiting drug dealers. Creative Loafing: Why are you introducing this bill? Kelly Alexander: I tend to do a lot of reading. In my reading, it became very clear that we have a substance out there that seems to do a lot to alleviate pain. But because the federal government classifies it as a category one narcotic — in other words, because it's illegal — research has been difficult to conduct. But a preponderance of anecdotal evidence, research coming out of [other] countries, as well as the limited research that's done in this country seems to indicate that medical cannabis can help a lot of people with a number of different ailments, including cancer, and could be delivered at a reasonable cost. Normally, that kind of equation lends itself to having something rapidly adopted. But the perception of how cannabis is used and the perception of the types of people who use it is retarding its adoption, legitimization and use in the medical community. A number of states, including Washington and Colorado, have changed their laws, and the sky hasn't fallen. People continue to report benefits, and I think it's time for North Carolina to change its law. What would it bring to our economy? The estimation that fiscal research did last session — about $30 million in revenue — is probably low, especially when you remember that there's not a whole lot of history in terms of demand, taxation levels, etc. It'll probably bring closer to $100 million a year. This has the potential to be an industry, and right now the only people who are benefiting from the demand are the cartels. We can also develop a hemp-fiber industry. It was used in sails, when sailing ships were popular, but eventually hemp and cotton competed, and cotton won. Not because it was superior in all of its applications — it just won because a bunch of states were already growing cotton. Part of my bill allows for research into the uses of cannabis. Hemp comes from the same plant. This is how we keep farming vital in North Carolina. Who supports your effort? Who does not? You can go around the General Assembly and find many people who will give you stories about their families or people they know who have benefited from using cannabis in a medical way. But they are extremely reluctant to go on the record. I attribute that to what I call the "Cheech and Chong, 'Up in Smoke'" mentality. It's a knee-jerk fear that's unfounded and unjustified. There is also some fear because the federal government still considers it illegal. But right now the fed seems much more tolerant of state-level regulation and experimentation. Do you think this bill will pass, even though Republicans are in control of the General Assembly? It's an uphill slog, no question about it. It's almost like trying to take something as massive as an aircraft carrier and turn it on a dime. You can't do it. Inertia keeps it going in whatever direction it's been going for a while. But I'm not sure that it's a liberal versus conservative fight. A lot of card-carrying conservatives seem quite friendly toward the concept of change in these private conversations. They don't enact change because of that fear. In order to change that, citizens who would benefit from the change have to express themselves very clearly to the people who are going to make the ultimate decisions. So you're using this bill to continue a conversation you started in 2011, not necessarily to change things right now? Yes. Three years ago you wouldn't have written this article. My phone wasn't ringing every week with veterans, or anyone who has any ailments, thanking me for introducing the bill in 2011. A year ago we posted a petition online around Thanksgiving that people could sign if they supported change. By the end of the year — in eight weeks — we had almost 10,000 signatures. If people petition their legislators, that's movement in the right direction. That helps change public opinion. Do you think some lawmakers in Raleigh pass judgment on you because of this bill? I really haven't thought about it. If I did think about it, I'd probably conclude that I could care less. If it's right, it's worth doing. The pharmaceutical industry has been known to lobby against this kind of legislation because medical cannabis could take the place of traditional pain medication. Some of the biggest companies in the world have a presence in the Research Triangle Park. Does that lobby have a role in North Carolina's debate? I don't think it's gotten that far yet. Strangely enough, I've been hearing stories lately about a push to make medication like Oxycodone much more difficult to get and stories that discuss pain-pill addiction. You don't have those problems when you use medical cannabis. This argument that we've got a growing pill addiction problem is an argument to start looking at things that are not addictive, that may be able to reach some of the same ends in a more cost-effective, easier-to-control way. 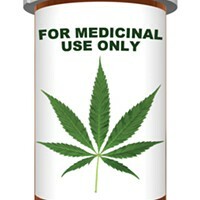 Medical marijuana cards are easily accessible in places like Los Angeles to people who aren't sick. Are you worried that will happen here? The gate keeper here is the medical community, which on average is somewhat more conservative in its prescription practices than the medical community in other states. Ultimately, it boils down to you and your doctor making a determination about what type of medications are best for you. Who am I to insert my opinion? If I were a conservative — and I am not — I would couch this in personal liberty terms. When the government permits you to have the widest choice, it promotes liberty. It's when the government restricts your choices for no logical reason that you are prohibited from exercising personal liberty. Some argue that denying people in pain medical marijuana is immoral. Do you agree? I'm in the funeral business. I come into contact with people who are in terminal conditions all the time. I believe in anything that can help a person's quality of life when they are on a one-way train out of here. If medical marijuana helps — if it allows cancer patients, for instance, to have an appetite — then what harm does it do? Do you believe in decriminalization of all drugs? I introduced another bill last session that would have made it easier for people who had convictions to get them cleaned off their records. There are a number of downside consequences to having had a conviction in your past for possession of small amounts of marijuana. But they are two separate issues, and sometimes, in this debate, they're melded together. I don't think they should be. The first issue is purely medical: Does cannabis work to alleviate pain, to retard cancer cells? Does it help with MS patients? The anecdotal evidence says it either does or that it might. If indeed this stuff works as advertised, as many people believe it does, then it ought to be available more broadly to patients. We'll figure the other issues out later. Medical marijuana advocates will meet at the state capitol in Raleigh Feb. 12 to lobby for Alexander's bill. The public is encouraged to attend or call or email legislators. Visit norml.org for more information.